Classes in Musical Theatre for children aged 4 – 16 years, Run by West End professionals. Fun classes held in St Clements with St Peters Church, East Dulwich and St Hilda’s Church, Crofton Park. FREE TRIAL SESSION. For more information on pricing and venues: Tel: 07714 331848. Email : info@takeflighttheatreschool.co.uk Website: www.takeflighttheatreschool.co.uk “Let Your Child Soar”! Aquatots run a friendly, comprehensive swimming programme is spread across 29 progressive levels suitable for the early introduction of babies, from 10 weeks old in our Level 1, right through to children of approximately 7 or 8 years in our Child Level 29. We not only teach the children how to swim but also, water confidence and water safety. Lessons available every day of the week in Streatham, Catford and Peckham. Web: www.aquatots.com Tel: 0208 688 6488 Email: info@aquatots.com. Group and sibling discounts available. Calm and relaxing sessions to help with conception, through pregnancy and beyond. Baby massage group and private courses & maternity reflexology from the comfort of your own home. Baby massage group courses held at The Vale Practice, East Dulwich SE22, St Hilda’s Church, SE23. Contact Samantha info@babistic.co.uk or 07799 032191. At babyballet®, we make learning to dance an unforgettable and magical experience. From six months to six years, our classes will give your child the chance to dance, gain confidence and shine in a fun, caring and supportive environment. We introduce little ones to the basics of ballet using movement, play and song. babyballet® is so much more than just a dance class and we can’t wait to welcome you to our magical world! 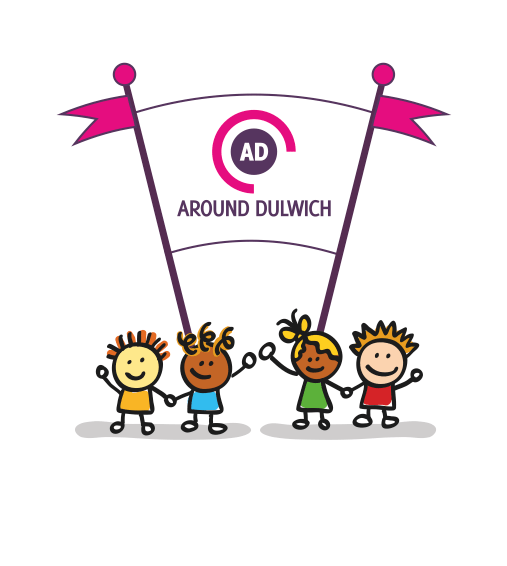 In Dulwich we hold classes on Tuesdays, Wednesdays and Saturdays. To see more details of our classes and to book a three week trial for £15, please click here. Alternatively you can email us at greenwich@babyballet.co.uk or call on 07809148348. Multi-Sensory Music groups for Parent and Baby in Nunhead. For more information amacgregor1.209@lgflmail.org. Baby Sensory classes offer a wonderful world full of exciting sensory experiences for parents and babies from light shows to bubbles, bells, rainbows, puppets, signing, games, massage, baby whispering & bonding activities. The possibilities for learning and fun are endless! Classes are on a Tuesday in Brockley, Wednesday in Sydenham and Thursday in Forest Hill. Email Sarah on dulwich@babysensory.co.uk for more information. Drop in music classes for babies and toddlers. Tues/Wed/Fri 3:30-4:30, Wed/Fri 11-12, Fri 10-11, Sat 10:30-11:30, East Dulwich/Herne Hill. Interactive music themed learning with a qualified spanish teacher. Teaching spanish through games and songs. Please email Audrey or call 07989 779578. Parent & Toddler ‘softplay’ group for 6 months-4 year olds, Tuesday mornings term time only from 9.30-10:30 & 10:45-11:45 at The Green Dale Hut, Green Dale Road, SE22 9TE (Next to JAGS). We also hire our equipment & bouncy castles for events & parties. contact Lisa on 07852 173919 or at info@bubblybees.co.uk. Meets on Fridays between 9.30 and 11.30 (drop in anytime) at St Faiths Community Centre, at the bottom of Red Post Hill, SE24. It is very informal, aimed at new Mums meeting up and getting ante/postnata/moral support from Alice (organiser and NCT Antenatal Teacher) and other mothers. Please contact Alice Yeates on yeatesa@btinternet.com or 07831 225841. Exciting puppets, colourful percussion instruments, fun music making and favourite songs provide a captivating class for babies and young children! Contact Merryn Kidd . or call 020 8698 8439. Fridays 10.30am – 12.30pm. Brockwell Park Childspace, Cressingham Gardens Tenants Hall, Hardel Walk, Tulse Hill, SW2 2QG. A warm friendly drop-in music class. For ages 0-4 years. We bring songs to life using song related resources, puppets, sensory material and so much more. Checkout the fb page for addresses and times. Or you can visit www.dancingducklings.co.uk. For more info you can call Caroline 0794 6146971. Funky pre-school dance classes for girls and boys. Learn co-ordination, rhythm and great moves to funky songs and boost confidence. Classes in East Dulwich, contact Anne-Marie 07973 982790 for a free trial. A new not for profit company, our aim is to encourage more people to participate in drama and enjoy theatre. We aim to offer outstanding drama teaching at affordable rates. Unlike many expensive commercial drama classes, our focus is not on West End style singing and dancing. Using established drama teaching delivered by trained drama professionals, our drama classes aim to develop our students and deliver the real benefits participating in drama can bring. Classes take place at Peabody Hill Community Hall SE21 8LA. 1st and 3rd Tuesday of every month, 10-11.45am, Herne Hill United Church, top of Red Post Hill. Email karendelahunty@yahoo.com or call 07799 861104. Thursdays 10.30-11.45 & 1.30-2.45. 368 Lordship Lane, SE22 020 7525 6220. The home of holiday music courses for more than 40 years. Dulwich Youth Orchestra offers opportunities for orchestral musicians, aged 7 – 18, grade 2 – 8+. On each course, our staff divide the students into various ensembles: String Ensemble; Wind Band; Symphony Orchestra; Senior String Orchestra and The Great Orchestra which involves all players. Eos Dance offers ballet and street dance classes to toddlers and children of all ages and levels. Our sessions are welcoming and fun. Full details, timetable and contact available on our website: www.eosdance.co.uk. Weekly Forest School sessions run by Holly Dabbs, teacher, level 3 Forest School leader and storyteller. Explore the outdoors with nature crafts, stories round the camp fire and tool work! Exciting weekly sessions for children under 5 and their families. Check out the website for more information. Thursdays and Fridays from 10-11:30. Age group 15months – 5yrs. Price £10. Grow Mayow Community Garden. Website www.foxgloveforestschool.co.uk. Email foxgloveforestschool@gmail.com or telephone 07792671854. Ages 5 to 11. Christ Church, Barry Road. Wednesdays & Thursdays 01732 457100. Funky Moves are bringing their regular Saturday classes to Dulwich this September. Funky Moves offers a cool, unique dance experience for boys and girls from 4-12 years old, through classes, holiday courses, workshops and parties! Our amazing unique street dance style can be choreographed to all the latest and greatest funky chart hits, and our incredible professional teachers are energetic, fun and super cool. When they are not dancing in the latest Calvin Harris video or grooving on the X Factor stage, our Funky Movers are helping your kids develop their strength, stamina, balance and co-ordination as well as team participation, discipline, focus and memory skills! Visit www.funkymovesdance.com or call 07810 431101. Gymboree Play & Music classes utilise a unique and impressive combination of music, movement, props, imaginary play and custom-designed and patented apparatus, all to create a fun and magical world where children learn, thrive and most importantly have fun. Classes are designed for newborns – 5 year olds, and are led by experienced and nurturing teachers. We run throughout the year at 184 Peckham Rye SE22 9QA. Please contact us at eastdulwich@gymboreeclasses.co.uk or alternatively call us on 07538 795023. Happy Feet is an engaging class for young children who enjoy music and movement. Sessions and practical and playful, encouraging children’s creativity with the support of their parent or carer. Classes are taught by a qualified, experienced dance teacher. Tuesdays 10-10.45am, Quaker Meeting house, 34 Sunderland Road, SE23 2QA. Cost £6. French or Spanish Private Tuition for children and teenagers based in Dulwich. Have fun while learning. Call or Text Clara 07811 394 806. FREE practical music making programme for 13-16 year olds living or attending school in Forest Hill or Sydenham. Time: 5.30pm – 7.00pm every Friday (term time).Venue: Forest Hill School, Dacres Road, SE23 2XN. For more information, please email itkickz@hotmail.co.uk or call Forest Hill School 020 8613 8422. Fun and energetic weekly classes for both boys and girls to learn about all aspects of dance. Through-out your time at TEAM you will have the opportunity to try new things, learn diverse skills, enhance performance techniques and work towards end of term performances and dance exams with the IDTA. Every Monday @ Christ Church Gipsy Hill. Call Lucy on 07801 735000. Come along to our step-by-step classes and make an exciting project each week! Kids can get their hands on the clay, have fun and be creative – we make something from scratch each week from air-hardening clay and paint to take home. (Aprons are provided, but please wear old clothes and bring along a tupperware box or plastic bag to take your item home). Thursdays (term time) 11.15am-12.05pm at The Green Community Centre, 5 Nunhead Green, SE15 3QQ. Thurs April 5th 9.30-11am & 11.30-1pm 57 by Suzanne James, 57 Northcross Rd, East Dulwich SE22 9ETJoin UbieDesign for 2 great courses. Zentangle-it: Zentangle pattern drawing and complete a Supercar or Cheshire Cat design, and Mandala of Love: Learn to draw and paint a simple Mandala. Great for creativity AND concentration. £15 each course. Contact hello@ubiedesign.com or call 07764 184956. Kung fu is an ancient practice with modern relevance. The benefits of practising kung fu for your children include discipline, healthy habits, increased confidence and concentration skills. Contact 07867 668 584 or email markes00@live.com. 280 Milkwood Road, Herne Hill, LONDON, SE24 0EZ. 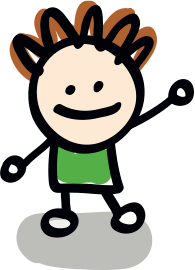 Children’s Art Class 3.5-5 Year Olds – Starts Sept 6. Teaching art appreciation to 3.5 to 5 year olds through creative art projects. The class is named after the French art movement, Fauvism, called that because its artists were said to paint like “fauves”, or wild beasts. Tuesdays 1-1:50pmPlease email Ferren@artcre.am to sign up. https://www.facebook.com/littlewildbeasts/ Punk Me Up Cafe, 34 E Dulwich Road, London SE22 9AX. Monday, 10am, Mixed Age Music (0-4s) at Francis Peek Community Centre in Dulwich Park. Monday, 10:30am, Toddler & Pre-school Dance (2.5-4s) at Francis Peek Community Centre in Dulwich Park. Friday, 10am, Mixed Age Music (0-4s) at Punk Me Up Cafe on East Dulwich Road. Friday, 10:40am, Toddler & Pre-school Dance (2.5-4s) at Punk Me Up Cafe on East Dulwich Road. Firday, 11:20, Baby Music (0-18mo’s) at Punk Me Up Cafe on East Dulwich Road. Friday, 4pm, Drama class for 4-7s at Punk Me Up Cafe on East Dulwich Road. French playgroup in September in East Dulwich. Mondays: Dulwich constitutional club 10-11 am, Tuesdays : The Victoria Inn 11-12 am. MAMA.codes Dulwich children’s coding class. Age: 3-4 years at The Goose Green Centre. Mondays 2pm – 2:40pm (starts January 2019, drop-off or stay if you want to). Price: £9.50 (own tablet) or £11 (hire tablet). Book online here or here. McAlpine Dance Studio has been running since 1972 in Camberwell and is now expanding it’s classes to Upper Norwood. Our new Saturday Stage Club combines Jazz, Tap & Musical Theatre for children of all levels. Our aim is to nurture each student in a dynamic and professional environment, whilst having fun, making new friends and building self-confidence. Creative, Messy Mark Making Class for 1-3 year olds. Tuesday mornings from 30th October 2018. 9:30- 10:00 at Moon Lane Books, SE23. £7 in advance, £8 drop in, £45 for the term. Contact info@writesparks.co.uk for more details or to book! Fun, friendly & educational music classes for 0-5 year olds. High quality, good value. The Goose Green Centre, East Dulwich Road, SE22 9AT. Contact Rebecca Vicary on 020 8852 0118. Ole Kids teaches Spanish through fun, activity based lessons, with singing and music, games, stories and crafts. Classes for children from 6 months to 18 year olds. Half Moon Pub on Herne Hill lane on Thursdays at 4.30pm for the younger age group (6 months to 4 years old) and their parents and carers. For details contact Lola Fernandez on 07734 900221. £10 per hour class half a term in advance. Weekend drama school for 4 to 18 year olds specialising in Film & Television, Comedy & Drama and Musical Theatre. Classes run on Saturdays 10am to 1pm at Elmgreen School. Contact Mel on 07746 400823 or email melanie@pqacademy.com for a free taster session. www.pqacademy.com/locations/dulwich. Thursdays at 10am at Court Lane Gate, SE21 and Mondays at 12.30pm at Peckham Rye Park, SE22. 07976 778413. Ruggerbeez provide the most exciting and professionally run weekly play sessions to children aged 2yrs – 7yrs across London. We operate in schools, parks, clubs and nurseries providing birthdays, camps and lessons. Try us out for FREE. No membership fee, join any time. www.ruggerbeez.com. 0844 544 6784. Nominated ‘Best Community Programme’ – Rugby Expo 2011. Mondays through to Saturday. Call 020 7193 3696. Every Tuesday 9.45am-11.15am, term time. For babies and toddlers. St Barnabas Parish Hall, Gilkes Place, Dulwich Village, SE21 7BT. Tel. 020 8693 5298. Give your children the best start this autumn and ignite their love of music with The Strings Club’s award-winning guitar, ukulele and violin courses for 4-11 year olds. Based at Brockley’s St John’s Church each fun-filled lesson is packed full of inspiring music tuition led by the UK’s leading strings teachers. And to help track their progress, The Strings Club also offers the chance to practice toward the prestigious Music Medal awards. The term-time courses start from £15 per lesson, with instrument hire from just £3 per week. www.thestringsclub.org | 0121 369 1950. South London’s leading provider of music for babies and children. Fabulous fun-filled classes in Dulwich, Herne Hill and East Dulwich. Call: 020 8670 0644. Tingalingo classes combine music, songs, rhymes, stories and play in French, for children (around 10 months to pre-school age) and their mums, dads or carers. We also have some great new venues and are now going to start offering a class on Fridays for older/bilingual children as well as continuing to run mixed-age group classes. We still have limited places left which will be offered on first come first served basis. The cost for the course is £60 for 6 weeks or £12 for drop-in if available. To book email hello@tingalingo.com. More info available here. Your child will become familiar with counts and music beats, learning basic dance steps, and dancing to fun songs your little one can sing along too! Age 2 – 3 years. Wednesday @ St Barnabas 2.30pm- 3.05pm. Call Danni on 07904 424 504 or e-mail on danni@getdan-n-dance.co.uk. If you’re struggling to find things to do with your little ankle biters on Friday or Saturday mornings, why not come down to Try Time Kids’ Rugby in Belair Park and let us take them off your hands for an hour? As well as transferable sports skills, we teach our 2-7 year old members the four pillars of sports that Try Time was founded on, encouraging them to be energetic, imaginative, inclusive and respectful. Sessions run 10-11am on Fridays, as well as 10-11am and 11.15am-12.15pm on Saturdays. Sibling discounts available, plus an extra 10% discount on our 11.15am session! Contact Danielle today for your free trial at sales@trytimekidsrugby.com, or call us on 01252 794150. Baby and Toddler Yoga classes. Storytelling and drama for pre schoolers. Classes for babies 3 months to mobile, older babies and toddlers. For more information email yoga@wola.org.uk or phone Hannah 07736 649146.